Elite Ultrasound Ltd offers a bespoke clinical environment, providing the highest quality care. Elite Ultrasound Ltd offers a bespoke clinical environment, providing the highest quality care. Combining over 30 years’ experience in fetal imaging with the latest ultrasound equipment our objective is to deliver the best images available during pregnancy. Within our clinic clients will be able to receive a wide range of ultrasound packages during all trimesters. All of our midwife sonographers and specialist radiographers have experience within the NHS and the private sector to enable them to provide the most comprehensive and skilled service possible. At Elite you will enjoy the highest standard of care and professionalism whilst leaving with images of your baby that can be treasured forever. 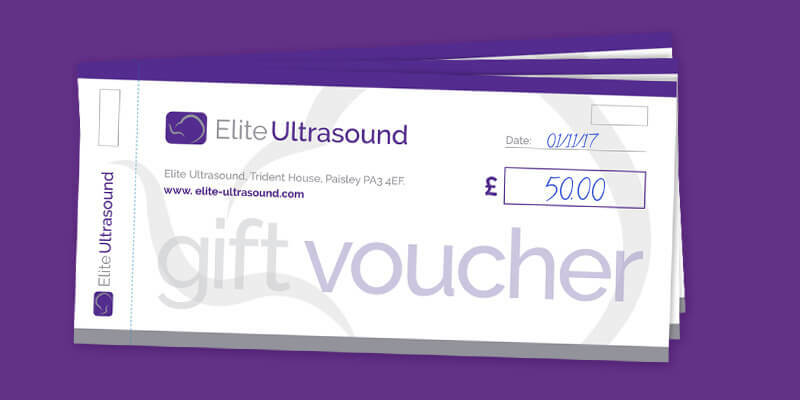 Give the unforgettable gift of an Elite Ultrasound scan.